Special education law is a growing sub-specialty of education law that addresses the rights of children with disabilities within the context of the nation’s educational system. Six million children in the United States are disabled, according to the Disability Statistics Center, and that number is growing. As childhood disabilities increase, the field of special education law has expanded to address the educational needs of disabled children. Legislation such as the Individuals with Disabilities Education Act (IDEA), the Family Education Rights and Privacy Act (FERPA), and No Child Left Behind (NCLB) compel states to provide a free and appropriate public education to ensure equal opportunities for all students. The IDEA provides the legal framework for a “free and appropriate public education” to students with disabilities. This federal statute, along with related state statutes and regulations, ensures that children with disabilities receive the same education as their non-disabled peers. 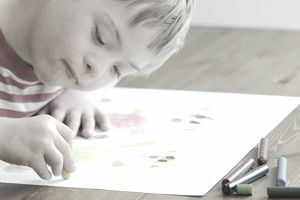 Individualized Education Programs (IEPs) - specialized educational programs tailored to the child’s needs - are often established to allow disabled children to receive a free and appropriate public education in the least restrictive environment possible. The work of the special education attorney spans the entire litigation spectrum from basic administrative proceedings to complex state and federal litigation. On the plaintiff side, special education attorneys and paralegals assist in meeting the educational needs of children and protecting their constitutional rights. Attorneys and paralegals often act as advocates, representing parents at due process hearings and IEP (Individual Education Plans) hearings, meeting with clients, and recommending local service providers, evaluators, and psychologists and other professionals. They must have knowledge of the education options available and be familiar with IEP issues, disabilities, discipline issues and behavioral supports. On the defense side, special education attorneys represent school districts, school boards, teachers, administrators, and other school employees to defend a variety of claims. Attorneys meet with teachers, union representatives, and school personnel; gather records; serve as a liaison between the district, counsel, clients and experts; draft contracts, policies and legal documents; and represent clients at due process hearings and at trial. Attorneys on the defense side of special education law may also appear at school board hearings or before legislative committees to petition for changes in school policy. A national increase in childhood disabilities has fueled the growth of special education law. The Washington Post reports that one in every dozen United States children and teens – 5.2 million – has a physical or mental disability, reflecting a sharp growth in the nation’s disabled youth in the past decade. In particular, the number of children diagnosed with autism, asthma and learning disabilities has risen in recent years. Reasons for the increase in childhood disabilities include a broadened definition of “disability,” a rise in childhood obesity and advancements in medical care that save more babies with low birth weight, Down syndrome, and spinal cord injuries. Volunteering for special education advocacy, pro bono and disability-related organizations can help you break into the area of special education law. Through such work, you can make contacts in the education law specialty, learn the unique terminology and procedural rules of special education law and gain valuable experience. A general knowledge of disabilities, as well as the legal and legislative framework of special education law, can also give you an employment advantage. A bachelor’s or master’s degree in education can be helpful but is not required.